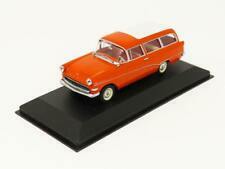 Minichamps Opel Rekord P1 Caravan 1958 Burgundy Red 1:18 Scale Rare! MINICHAMPS 1/43 Opel Rekord P1 Caravan (1958) "Coca-Cola"
Opel Rekord P2 Coupe 1960 Blue/Grey 430040222 Minichamps 1:43 New in a box! 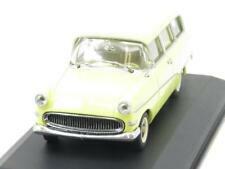 Minichamps 1:43 OPEL REKORD D COUPE 1975 GREEN METALLIC L.E. 1008 pcs. OPEL REKORD C COUPE - 1966 - RED 430046124 Minichamps 1:43 New in a box! RARE! OPEL REKORD D COUPE-1975 -Orange 400044024 Minichamps 1/43 New in a box! Minichamps 1:43 OPEL REKORD D CARAVAN 1975 LIGHT BLUE L.E. 1008 pcs. This page was last updated: 19-Apr 10:21. Number of bids and bid amounts may be slightly out of date. See each listing for international shipping options and costs.